There was a little turbulence with the lettuce. The soil sank to a level that made it hard for the lettuce to get enough light and the plants stretched. It's not a fatal problem like the caterpillars. In about 5 minutes it was fixed, but it took a week to recover. a container the same size and filled it with a few inches of soil - the amount my plants needed to be raised up. Lettuce recovered in about a week. Second, I flipped the whole first container over into my hands and the kids lifted off the plastic pot, leaving the block of soil, roots up, with the lettuce plants getting squished into my hands. Third, I attempted to flip the lettuce block over into the new container. It was mostly successful. 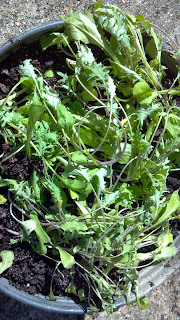 A few of the lettuce plants fell out and I stuck them back in. It was unnerving to have those delicate little roots without soil in my hands, but they got back in. The block of soil was pretty wet and had been for a while, so I didn't water it for a couple days, until it wilted. Not the just-got-knocked-out-by-my-roots kind of wilting. The kind of wilting they look like when they are thirsty. 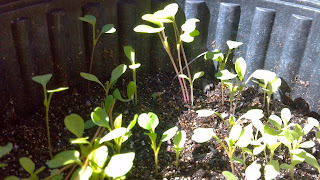 Seedlings stretch when they don't get enough sunlight. 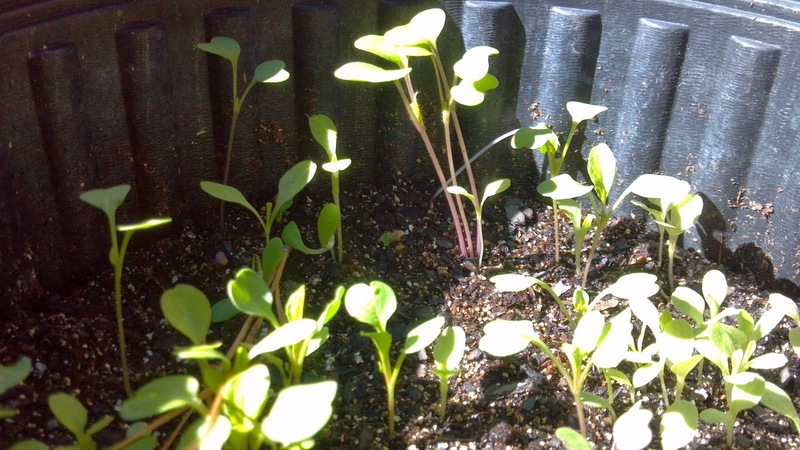 They were still pretty stringy and it took a week before I was sure they would recover, so I planted another pot of lettuce with the seeds and soil I still had left from the Grow Wealth Plan. I will give them another day and then harvest the big leaves, leaving the small ones to grow. 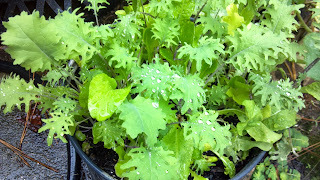 When you cut the big, outside leaves of lettuce, the little ones grow back from the center like a dandelion. 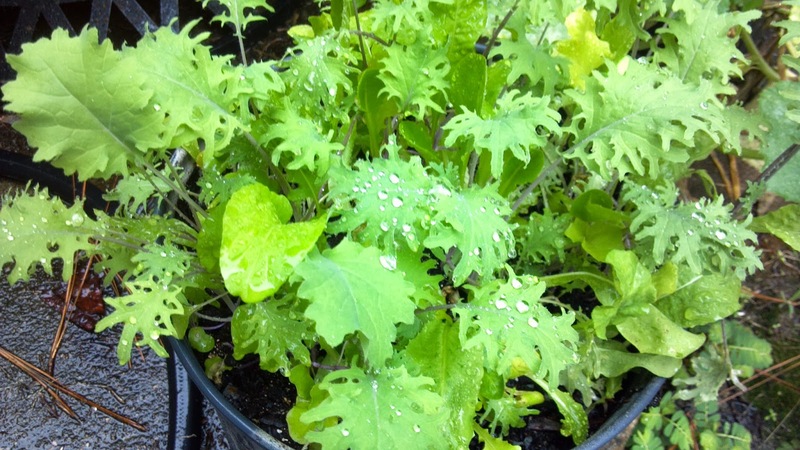 Greens of all types grow in the winter, so get some started!